Noche y Dia – Is It A Crazy Notion? Roll up, roll up for the annual “Dmitri’s been to a county game” (and referring to Dmitri in the third person) post. 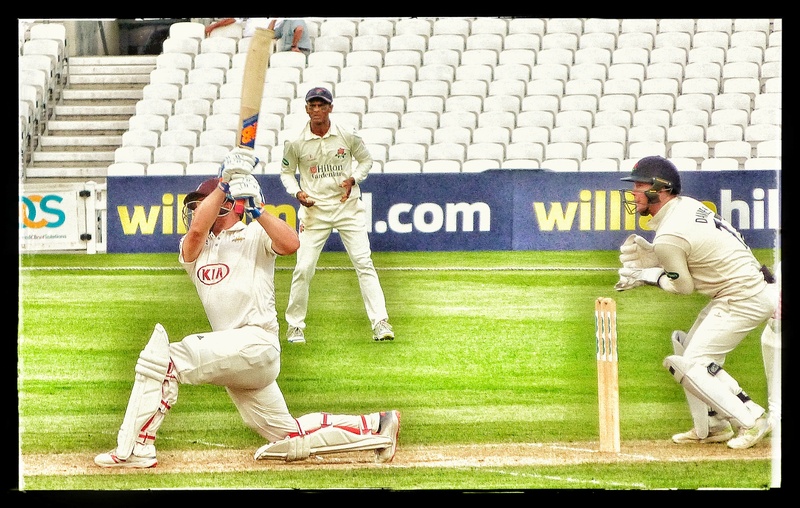 Every year or so I pluck up the energy, the forward planning, the excitement to make it to a day at county cricket. This one, together with an obscure (in the UK) song from the wonderful Al B Sure! in my head (try finding another cricket blog fusing swingbeat and swing bowling), was the one. This time around, my annual visit was slightly different. Instead of braving the late commuters on Southeastern trains, ready for an 11 am start, it was a more genteel 1:30pm commencement for the first, and possibly last, day-night County Championship fixture at The Oval. I’ve heard a lot of the fears, the woes, the problems and the moans about this particular exercise in seeing if county cricket has an audience, so I thought I had better go there myself to find out. My first pink ball game. What a time to be alive! 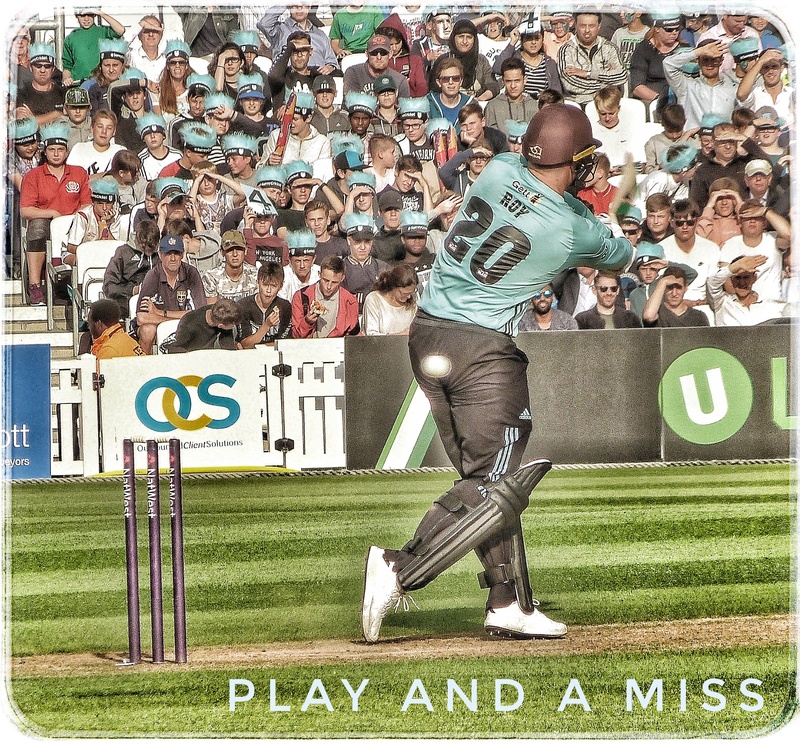 The fact that up until a week before the game I never knew it was day-night shows how committed Surrey was to it! It seems their beer festival now appears to be much more limited as well (and that was advertised even less) because there was no sign of it for non-members. Once again, my day at the cricket would be to see Surrey v Lancashire, On the first occasion, Stuart Law, Mal Loye and Iain Sutcliffe took advantage of a ludicrously small boundary on Good Friday to take us to the cleaners. On another, Ramps played a 4th innings, fourth morning masterclass to cajole Surrey past a twitchy target. Then, two years ago, I went to see Sanga, and while I got a 50 to watch, I also roasted in 90 degree late summer heat (it might have been high 80s but hyperbole and all that). 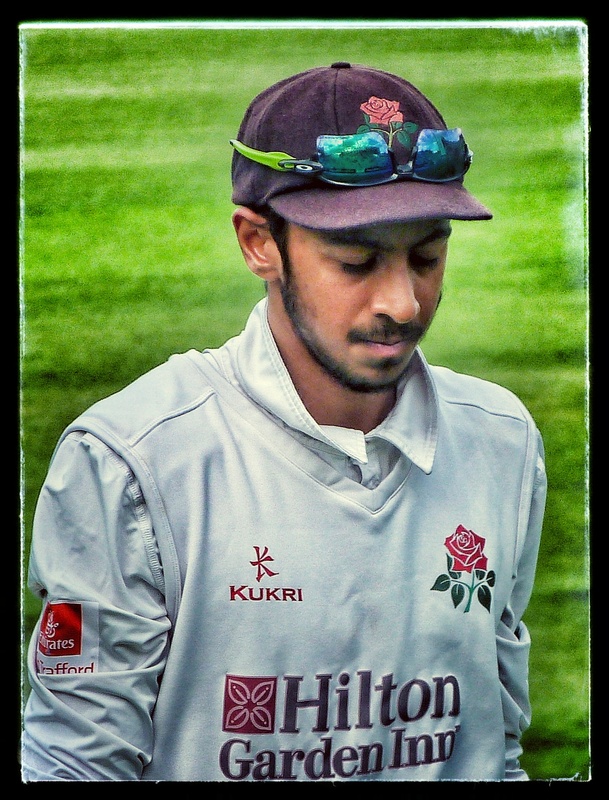 One of the players having a buzz around him that year was Haseeb Hameed, who had made the starting XI for this one for the visitors. Amazing. Two years ago he was making a very good debut for England, now he was in doubt for a place in his county team. 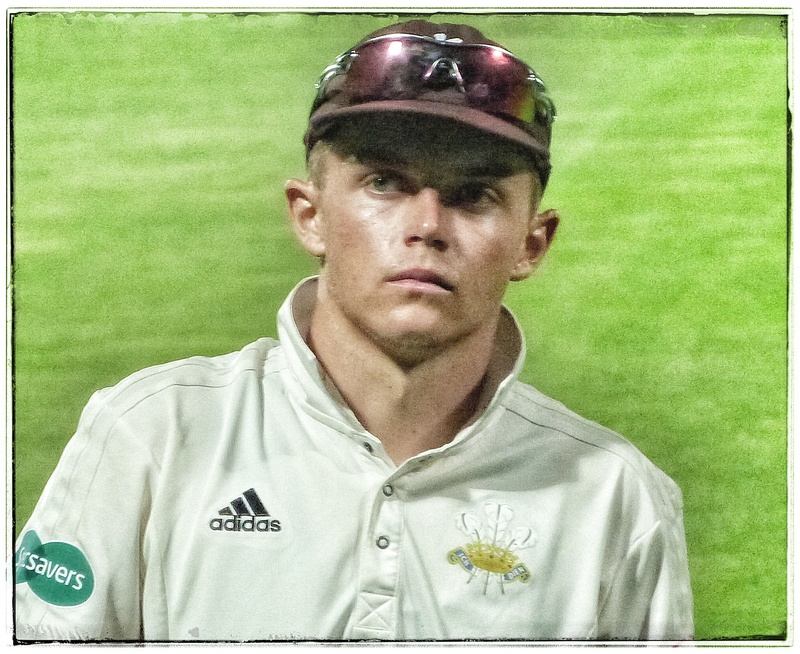 Another Member Of The “I Opened With Alastair Cook And Returned To County Cricket” Club… Still not seen him bat! I have to say that the portents were not good. My default setting for innovations is “I do not like”. I’m not convinced by day-night test cricket, and was worried we (Surrey) were being pitched into this lottery at a crucial time of the season with warnings of hooping deliveries when the sun went down (see Kent v Middlesex). Surrey had also lost Pope and Curran to the England squad, had to retain Aaron Finch as an oversea player, lost Borthwick and Roy to injury, and thus had a weaker feeling with Harinath at three. As it was, Sam came back into the team, and in an ironic twist, took Tom’s place. He would bat at six. Ryan Patel, the hero of Guildford, would take his place at number 7. The Sunday play had seen Surrey flop to 211 on a blameless surface and in good weather, clawing it back by taking six Lancashire wickets in the evening session. That 211 was courtesy of some Dernbach/Morkel hitting, which as a long-term strategy has to be up there with recalling James Vince and hoping it’s 14th time lucky. It might just work, and sometimes it does. But relying upon it… it couldn’t happen twice. It was good to watch some of the play on the live feed, which although restricted to just fixed cameras showed more replays of key action than the red button Sky EPL game on the Wednesday (Sheffield Wednesday v Millwall). If we can get a little added coverage, I think there’s a real market there. Without those cameras we would never have seen Will Jacks’ catch to end the game, or Rory’s grab at suicide second slip off Morkel. But I digress to the end, when I’ve not even started on my day there! So, off I popped for Day 2, a Monday, beer in bag, camera at the ready. Meeting a non-cricket loving friend at London Bridge, the weather threatening drizzle, we got to the ground in good time for the opening session. Entrance 4, the old Surridge Stand from my thirties, would be our home for the day. Surrey’s credit card machines had broken down, a dodgy portent. During that first session sad news reached us of the passing of a good friend and former work colleague. Mike was a good bloke, my darts partner of a number of years, and also a keen sports fans as well as being a follower of Crystal Palace. He will be sorely missed by his friends, and that evening we raised a glass to him. RIP Mike. The big question about the day’s play would be how would the ambient conditions be accentuated by the pink ball? For the first session virtually nothing happened for Surrey. 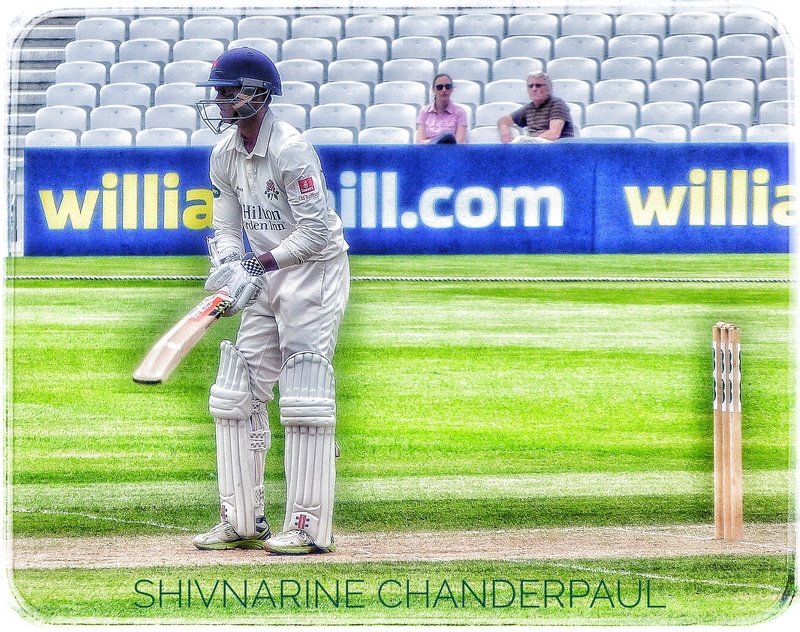 Sure, there was the comical run out of Shivnarine Chanderpaul, who lost in a seniority battle to a debutant when it came to who was going to go, but precious little else. 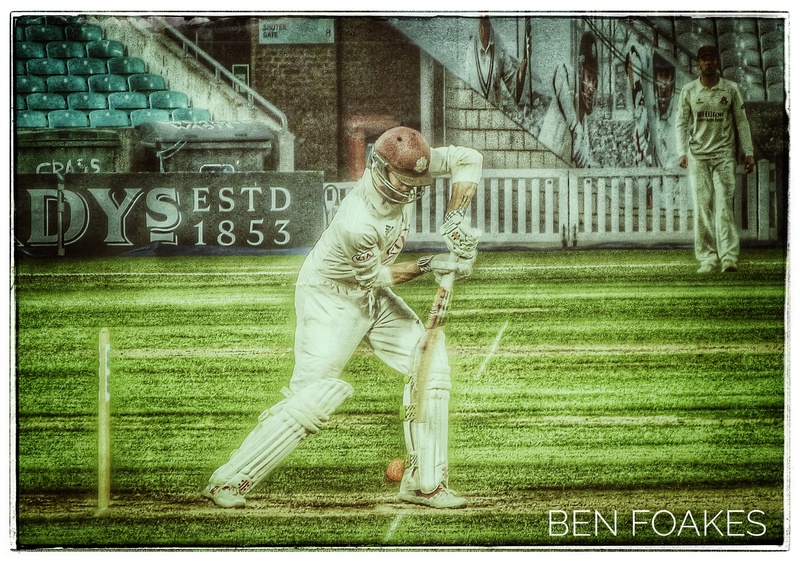 Surrey battled, but looked unthreatening. The hosts thought they might take a first innings lead at the start of play, having fought back well, but with the benign conditions Lancashire pottered onto lunchtime and gradually pulled into the ascendant. Debutant Bohannon looking very assured. Mennie taking his opportunity. Now it looked like limiting the damage. Lancashire’s tail folded a little just after the interval. Bohannon made a debut half-century and looked mightily impressive in doing so. Mennie and Bohannon both fell to Virdi. Onions slapped one imposing boundary and then slapped a ball to extra cover to get out. It was my first look at Amar Virdi, the young Surrey spinner, and from what you can glean from side on, he looked pretty decent with lots more to learn. I do hope England don’t pick him too soon, and I do hope he gets a chance to show his skills on more favourable wickets. The pressure is going to be on next month at Taunton. For someone with not the greatest pair of eyes, I have to say that the pink ball was much easier for me to pick up in the daylight, let alone night cricket. Now I know there are huge reservations about the quality of the ball, it being a Kookaburra supposedly, but from a spectator like mine’s perspective, it certainly helped to follow it more easily. I keep hearing this is a spectator sport, but this isn’t one thing I’ve heard from anyone else. Those of you who have gone to day-night cricket, has it been easier for you to see? Lancashire took the field with a 36 run lead, which was on the upper end of “negligible” in terms of the match position. I certainly wouldn’t have wanted it to be much more. There seemed to be something in the wicket, as no-one really went on after a start in both innings, so the mind was trying to put a quantum on what would be “enough”. A 300 target would certainly be testing. 250 would be around par, and anything less would need a helping hand of Lancashire choking. All these thoughts were those at the time, not hindsight, I must stress. 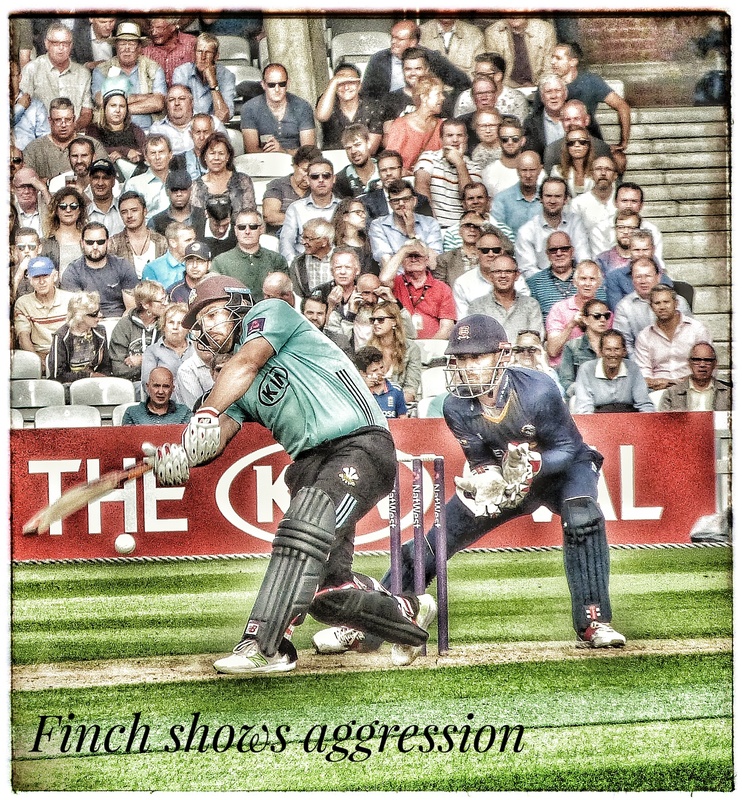 This was combined with Somerset, at the time, being in a dominant position in their home game against Essex. 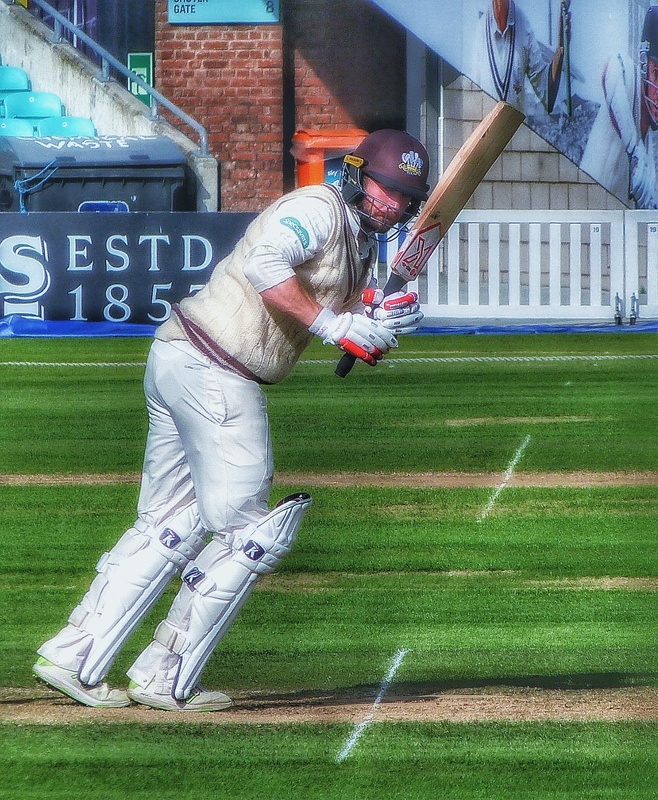 We know Surrey have, effectively, one win in hand – that is we can afford to draw one, while they win and still be ahead – but Surrey want to keep them at arm’s length and a win here would be crucial. 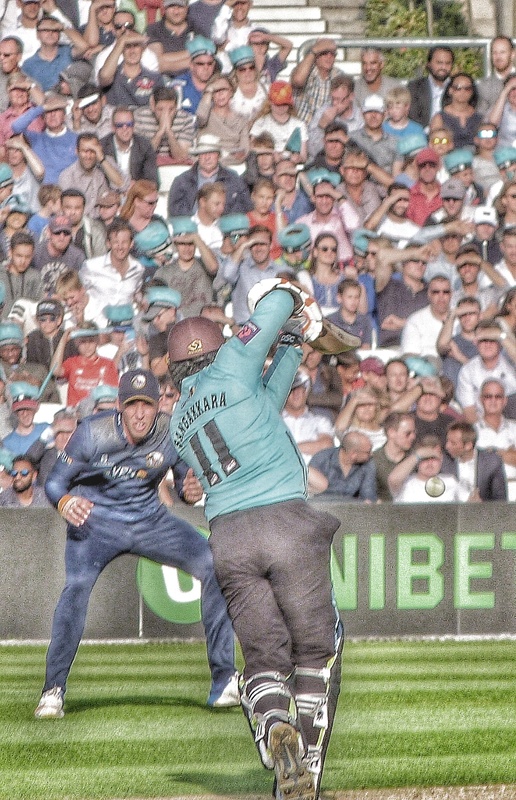 Surrey needed a solid start, before the twilight, the legendary twilight. Rory Burns is being put forward for England selection, and he came out on the back of a rare failure in the first innings. His partner was the latest in the “Discarded Former Cook Partner” club, Mark Stoneman, who when I last saw him in the flesh, took Essex to the cleaners at Guildford in June 2017. The batting looks a bit ropey below that, with the squad man Harinath due in at 3, Sam Curran as high as 6. The openers did their job in the early going, but Stoneman gave it away with the deficit almost erased, walloping a pull shot straight down deep backward square’s throat. At 35 for 1 it was essential that Rory made a score and that Arun Harinath stick around. Arun, to be fair, did a bit more than that and looked pretty solid. Of course, it took me to leave my seat to get a wicket. Off I popped for a call of nature, and out I came to “Next Man In…. Aaron Finch”. He had been run out. 73 for 2. A lead of 37. In came new county cap Aaron Finch. Aaron was being used as a stop-gap overseas player until Dean Elgar returned and had made 43 in the first innings. Finch may be known as a white ball destroyer, but he does have a career best of 288 not out in his locker – see here – and hey, pink is what you get when you mix red and white, right? Maybe he’s the ideal player. Anyway, Finchy doesn’t like spin bowlers very much, and the impressive (again, as much as you can be from square on) Matt Parkinson got a little bit of treatment. The boundary towards the Harleyford side was the shorter one, but the two sixes he clattered into the OCS Stand would have cleared most boundaries in the world. If this went on for too long, the game would be out of Lancashire’s reach. It was becoming increasingly evident that Surrey were making hay while the sun shone, or at least was vaguely above the horizon, and Lancashire were waiting for evening. Parkinson was too much like shark-bait for Finch, he was taken off, Graeme Onions came on, and with his first ball pinned the Aussie in front for 32. 114 for 3, a lead of 78 and our destructive player gone. Ben Foakes, the best waiter on the cricket scene having toured Down Under last winter carrying the drinks, was next in. Number 5 seems at least one spot too high for a top team, but needs must. 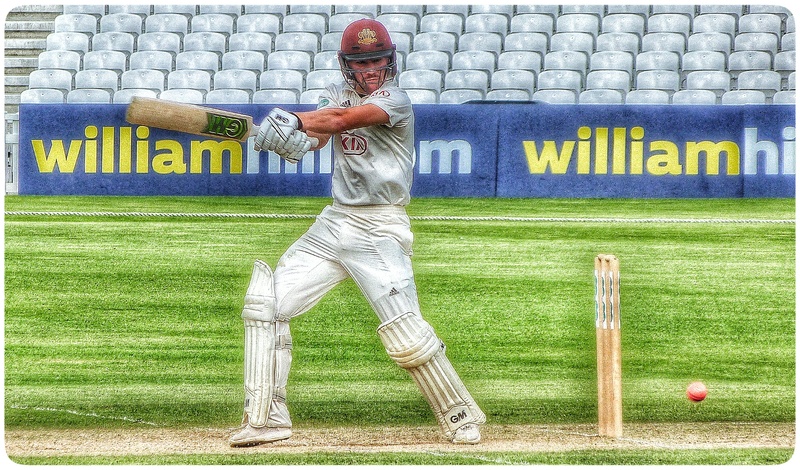 Rory Burns remained there, not always convincing but keeping the score ticking over. The light began to fade, the lights began to take effect and here was the time of day we were supposed to be here for – the action hour and a bit. But not a lot seemed to change. 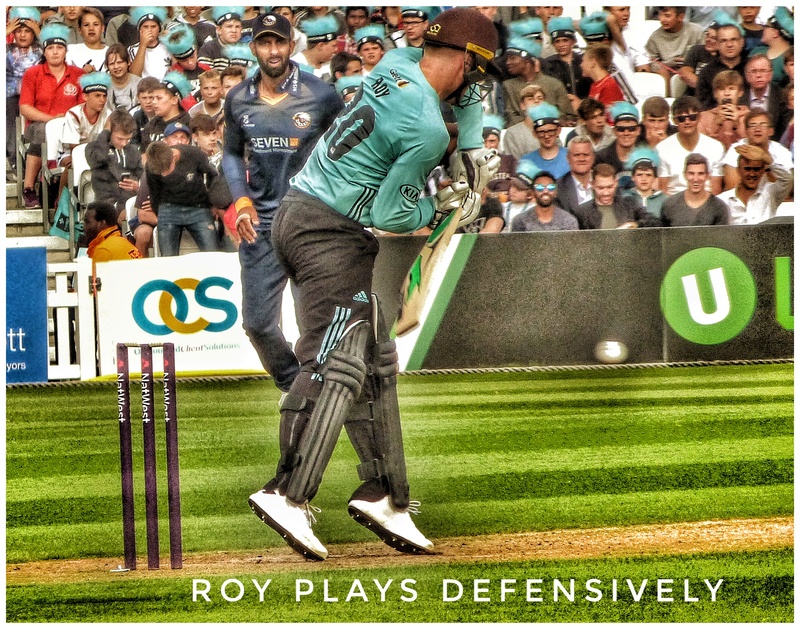 Sure there were more plays and misses, and Foakes played very defensively, but it was as much the tense game situation as it was the environment that played a part. Burns passed 50 on his way to the highest individual score in the game, with his offside play particularly good, but he never really suggested permanence. I think England will chew him up and spit him out, to be honest, and the pundits will get on his technique. It was the debutant Bohannon who did for him, bowling him for 70. In the context of this match, it was a crucial knock. Foakes was joined by Curran in the full night-time field of play and with the game perched on a precipice. 162 for 4. 126 in front. This was going to be important. The two chose different modes of play. Foakes was all defensive solidity, Sam a bit more expansive, positive, as if emboldened by international status. My Middlesex friend who turned up, who is not a fan, called him a P L C, with the P standing for Punchable, the L for Little, you can fill in the rest. Hell will freeze over before he praises a Surrey player! The two played out the remaining difficult overs, as a decent crowd stayed until almost the end. I thought there was a considerable influx after 6pm, which Surrey had advertised as free admittance. 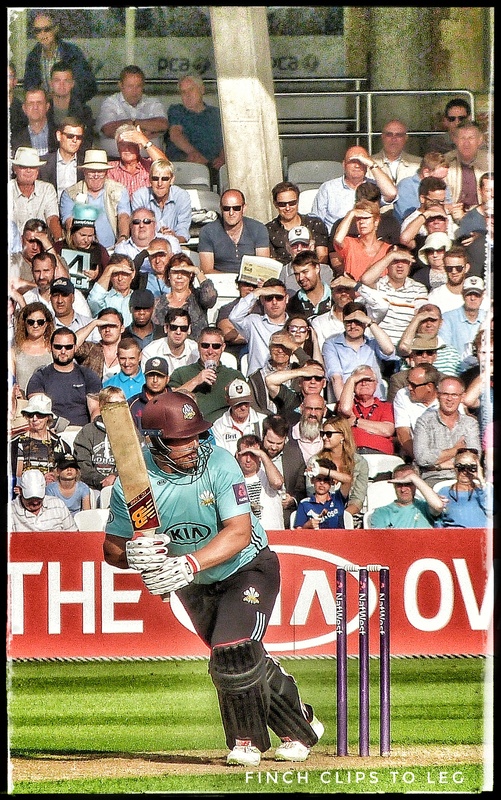 Surrey finished the day at 197 for 4 – Curran having made 27 out of the 35 added since the Burns wicket. 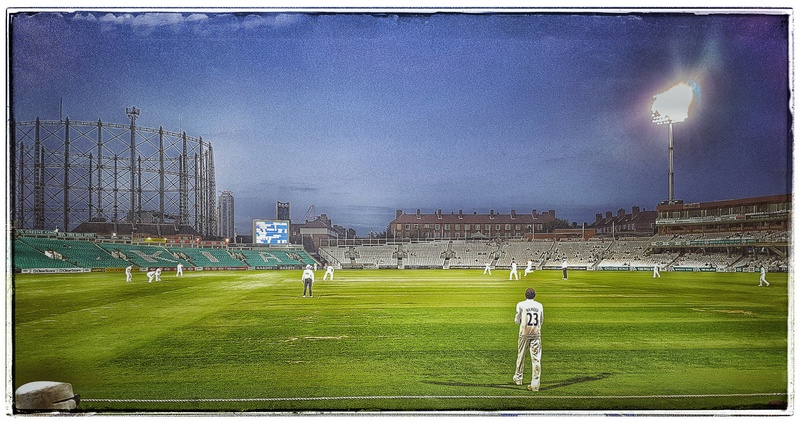 I went back the following evening, to see Lancashire collapse a little – losing three wickets – after tea and then watching Bohannon and Croft do fantastically under the lights to see off the Surrey threat. Morne Morkel gave them both a torrid time, but it did seem, with Surrey a bowler down due to Dernbach’s imjury, that it was Morkel and AN Other in the Surrey seam attack. Sam didn’t bowl a lot, nor did Patel, and Clarke looked largely ineffective. I was joined that evening by my old playing mate, my current blogging mate, and Topshelf of this parish, who I spent a fascinating hour or so with. 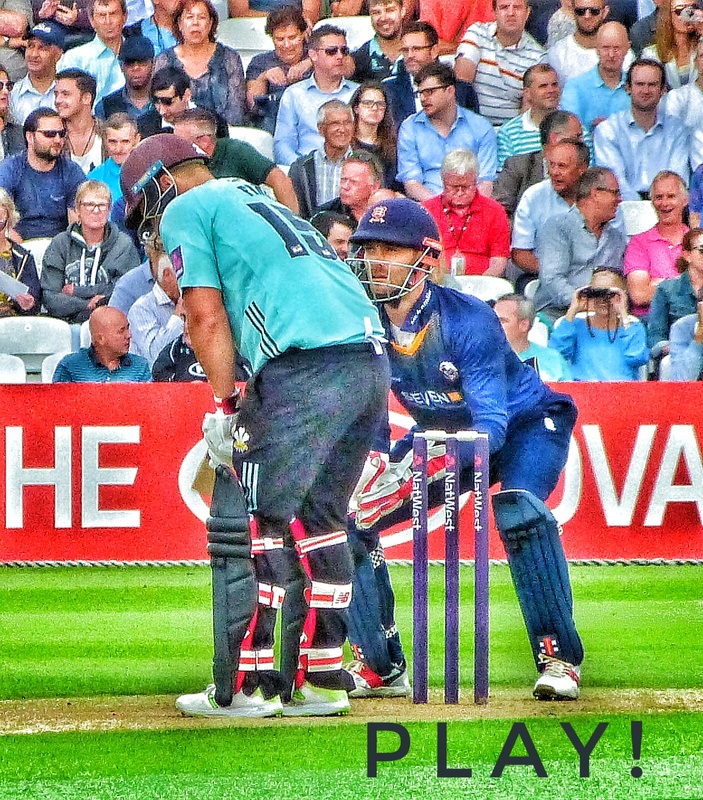 The game finished in high tension the following day, with Surrey winning by 6 runs. The best troll would have been if they’d won by 2, because Morne Morkel blatantly did not save a boundary down by us, and “saved” 2 runs, much to the annoyance of the Lancashire fan in my stand, who then turned on Ben Foakes for momentarily having his gloves in front of the line of the stumps before each delivery from Virdi. Both the Surrey and Somerset games ebbed and flowed. and Lancashire, remember, are struggling at the bottom of the division. These were great matches, and an example of what the County Championship can deliver when played in August, and with context aplenty. I was following both at work, and punched the air and shouted yes when the final wicket went down (on scorecards, not live feeds). There’s not many of us about this time of year, so no-one was that bothered! But as a keen fan, there’s a market there for bloody good competition. This was it. What did I think of day-night cricket? I liked it. I really didn’t see what much of the fuss was about. It is a little artificial in that there are definitely two, perhaps three, distinct pieces of play – the afternoon session when not a lot seemed to happen and batsmen might have played as if they were facing impending doom. Twilight seemed to bring a madness to both teams, and where a lot of the wickets fell. Then night-time when players seemed really locked in, batting became more intense, bowlers more positive. Run rates slowed, passions raised, intensity at this being a chance to make an impact weighing on the fielding side. Foakes was an example, becoming virtually shotless and keeping the attack at bay. Morkel too on Day/Night 3 bowled an intense hostile spell, and the Lanky lads battled hard (Croft and that Bohannon again). I enjoyed it, I could see the pink ball, and I am a believer in it based on this small sample size. Now I recognise that this may be because it was in London, in late August, and the lights actually take effect, rather than there being an extended twilight that the games in late June get, but it worked there and then. I had a conversation with two chaps on the Northern Line. One of them had been to the infamous Kent v Middlesex day night game which is used as Exhibit A for scrapping the format. Both were converts, both liked being able to come down after work to watch a proper first class game rather than T20. Both thought the quality was the same. Both thought it should continue. The one who had been to Canterbury said that Middlesex could moan all they like, but they batted terribly. Meanwhile, Kent’s number 10 had made a second innings hundred under the lights (it appears he batted until about an hour before the end of play). He wasn’t having any of it being a lottery. I also had some Tweets, with one saying you couldn’t have a day night game in Manchester at this time of year. I think it helped that London isn’t quite as chilly at this time of the year – in September it would be – so I think there’s a narrow window when this game could be played. I think you need proper night-time, and it not to be too cold. Late May, possibly and mid to late August seems the window. June it is just not dark with 9:30 sundown. It’s not easy, but it’s worth a try. It was an enjoyable couple of days, one full, one evening session. I hope to do the same this week for the Notts fixture – a normal fixture – but I don’t think the experiment should end just yet. If it is the ball, then find or develop a better one. If it is the light issue, then mid-August is better than mid-June. If it is that much of a lottery, then sure, we need to level the playing field as much as possible. But I liked it, and I can’t say any more than that. If they did another one at The Oval, I’d go. I am not sure why there is the ingrained antipathy to it from my one experience. That’s all I can go on. Happy to hear experiences of others, but this was a satisfied customer. And what a conclusion to the match it was. County cricket has a lot going for it. Perhaps we should shout it louder. OK. Time for me to write something. I’ve been here, I’ve been there. Cologne on Wednesday, Guildford on Friday. Sleep has been a stranger. But that’s life. I’ve been on the sofa for large parts of the weekend watching the two group games that sealed the fates of Australia and South Africa. Yes, if you remember I tipped Australia. I love being wrong. I’ve had a lot of practice. Today’s game, and I’ll review it if I have to, was a poor old show. South Africa started out at a sedate pace, as they did against Sri Lanka last weekend, but then collapsed into a heap. Nasser has been banging on about how the big players have come forward, but AB de Villiers was the exception. He hasn’t been at the races in this tournament and will now be able to rest up for the summer while his team-mates undertake the test match heavy lifting. I wonder what South Africa’s version of Oliver Holt or Paul Newman would make of that. Once South Africa had been dismissed for under 200, it was always going to be a walk in the park. They lost two wickets getting there, but there was never really any alarm. Rohi Sharma’s dismissal to Morne Morkel, however, reminded me of a game I saw 10 years or so ago, when Morkel, who was, I think, a bit quicker then embarrassed James Benning in a T20 game as his bounce caused mayhem. Benning ended backing away a little and losing his composure. Sharma is in a different league, of course, but that wasn’t his finest hour. Food for thought? India will, in all likelihood, meet Bangladesh in the semi-final, while England, who have been incredibly impressive so far, will meet the winners of tomorrow’s clash between Pakistan and Sri Lanka. Frankly, your guess is as good as mine. Pakistan took advantage of dismissing South Africa cheaply but looked woeful against India. Sri Lanka’s batting looked frail against South Africa and then chased down a large total set by India. Strengths and weaknesses…. In other matters I went to Surrey v Essex at Guildford on Friday. I’ll probably put some pictures up in due course. It was a very entertaining day out, even if Kumar came and went in a very short time. 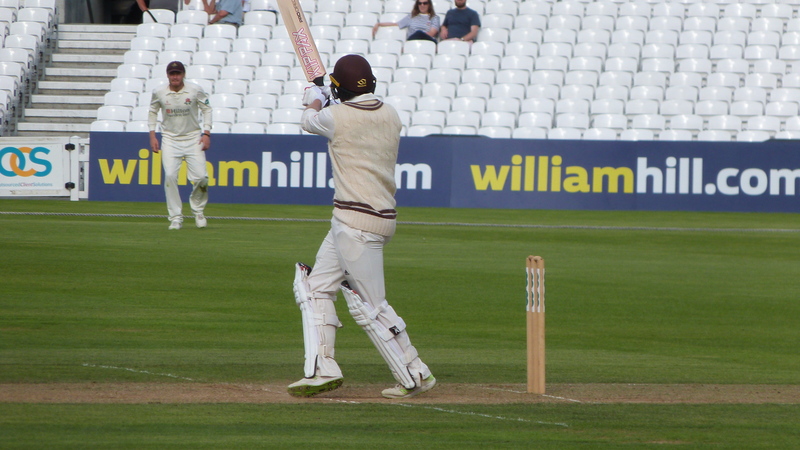 I had visited just one session of play previously this season – the opening day – where I saw Mark Stoneman finish his 165. This time I saw him score 181 not out, and he looked magnificent. 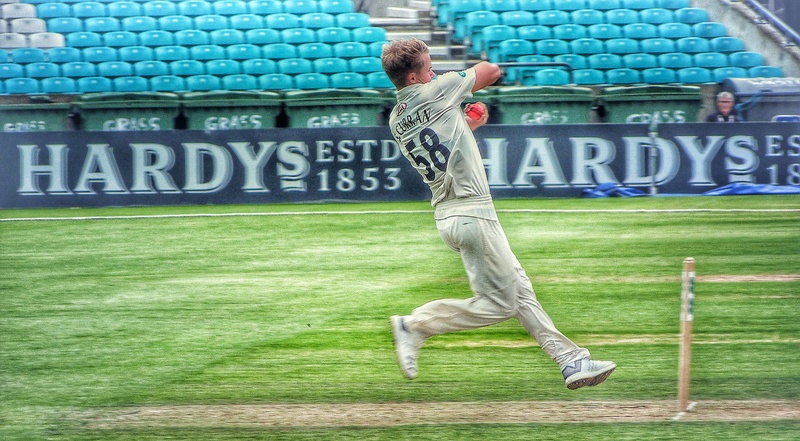 Sam Curran was also a pleasure, making a breezy half century. All the while though, the presence was too much for me to concentrate on the game. I was too close to the genius, to the aura. I was not worthy seated under the tree. Catching a day’s county cricket at an out ground is always fun. Guildford is well worth a visit, with the beer served up of excellent quality and at £4 a pint. It will never catch on. As I said, more on this during quiet periods and when I’ve got my photo-editing software on to some of the pics. Other heads up for pieces in the future – and you know these aren’t guaranteed – is I’m reading a lot of old books I’m snapping up on Amazon “Used”. I’ve read Bob Willis on Test Cricket. I read Mike Brearley’s regaining the Ashes book from 1977. I am now reading John Snow’s book. It’s tremendous dipping into these old books, because they are anything but andoyne. They are full of forthright opinions, not written with anyone other than their own accuracy and views in mind. I’ve picked up a load of these recently, with books by Tony Greig and a couple more by Brearley to read. I also got Stuart Broad’s recent effort for a couple of quid, as well as the Simon Jones book. Also snapped up the Wisden Anthologies, a few missing B&H Cricket Years from my collection, and now I just have to read them! Any recommendations, let me know. Finally, not to blow my own trumpet, but more of an explanation. I recently got a promotion at work, which is going to mean that the time I can devote to the blog maybe more restricted than before. I know we are all busy people on here, but given where life has taken me in the last few weeks, I’ve not been able to write as much as I would have liked. It’s life. We’ll do what we can. Comments on the Sri Lanka v Pakistan game below. 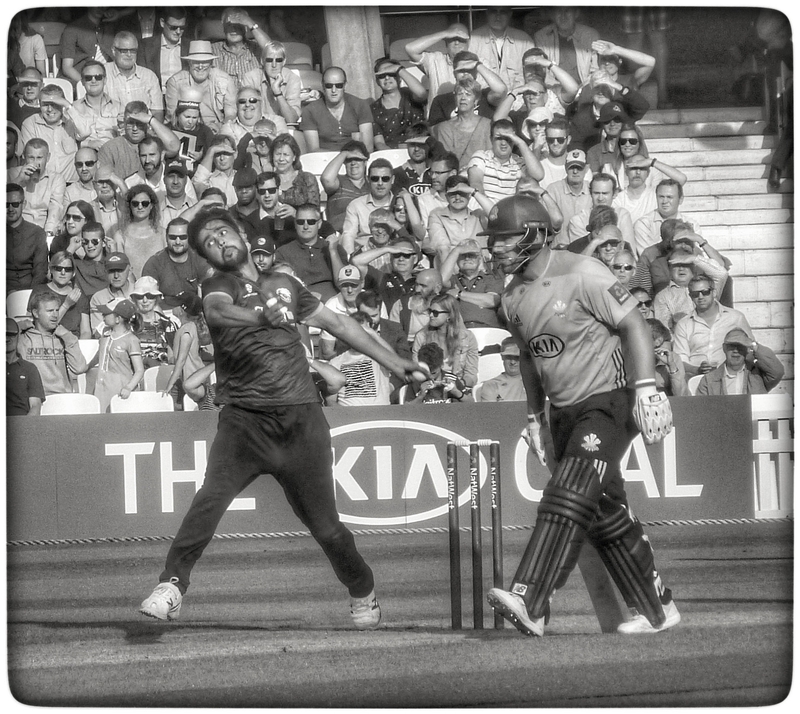 Sean’s excellent piece on Saturday captured the arguments over the plans to introduce a new T20 competition succinctly and accurately. I must put my cards on the table here. I just don’t think T20 is much good. It’s not particularly memorable in its own right, and because it is so frequent, with game after game after game bombarding you, a tournament like the Big Bash just feels like it goes on too long. Which means the IPL has got to a serious “what the hell” phase long before it gets to its knockout phase, or whatever it is that concludes it. I went to the first ever T20 at The Oval, back in the day, where the sheer shock that the ground was almost full and the club had catered for half that, still sticks in the mind more than the game did (Comma made a 50 I see). It’s interesting to see how the articles refer to the same concerns on show now. Questioned about a shorter format, almost half were against it but of the 34% who expressed approval, most had never attended a county game. And for Robertson and the ECB it was the possibility of attracting new fans – and crucially families – that convinced them to press on. I used to go to a few of them back then. I remember Andrew Symonds tearing some attack apart at Beckenham (it was Hampshire’s), a very well contested quarter-final between Surrey and Worcestershire when it was skillful bowling that saved the day, and the “penalty bowl out” between Surrey and Warwickshire. I was a member back then, and felt absolutely no desire to go to Finals Day, and I had a culture of following my other sporting love all round the country. For me T20 was there for a one-off “hope something good might happen” but often disappointed. 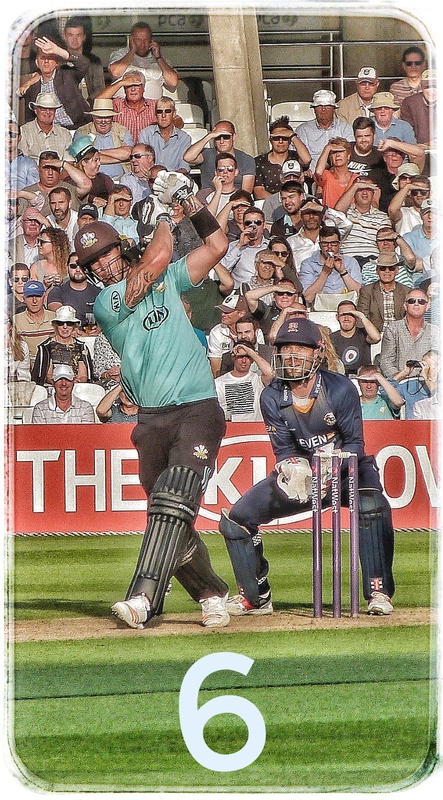 I got a couple of free tickets to see Surrey a few years back, and KP was playing so it was a rare chance to see him in action, but the games themselves weren’t very exciting to me. I realise I’m not the kind of supporter this new competition is meant to get to, but also I wasn’t a fan of playing it when I had the chance, and thought it wasn’t that great a concept. It was cricket for cricket’s sake. I remember going to a Surrey v Middlesex game on my birthday, and Middlesex barely got 100. It was cripplingly dull. Even the most boring day at a test was better than that. No amount of fire machines, dancing people and loud music could make up for the fact it was a rubbish game. The clubs saw the chance in the immediate aftermath of the initial success to go from the five games they had planned in season 1, and they continued in Season 2, to more. Remember those lazy hazy first season matches at East Molesey and Richmond Park? This increased to 8 in Season 3 and went up to, 10 in its 6th season. The counties became dependent on it to continue, seeing it as a necessary income, and could not resist the temptation to overkill. In its eighth season, in 2010, it became a league of 16 games, with quarter-finals? Even then they sensed they were killing the golden goose, because it reverted to 10 games after two seasons, before settling on the 14 we have now with the Blast (from 2014). What that showed is the counties had no real idea on what to settle upon, and I know a number kicked up fury when it went from 8 home games to 5 in 2012. The Blast has seen some improvement in the attendances and there appears a fair buzz towards it this year. The “appointment to view” with a Friday night fixture was actually, in hindsight, a decent idea, but that’s been watered down now we’ve decided to play the fixtures in more of a block. Then we have the IPL and the Big Bash. Envious glances were cast at these two competitions. Both play in considerably larger grounds than we have in this country, and both, therefore, attract the money makers. The IPL was very much set up as the Premier League of cricket, and the BBL followed with a different kind of league, but in sun-kissed stadia, free to air TV, and the teams playing just 8 games each. Both played one game a day (occasionally two at weekends), but all were televised live, and that’s what has got the attention of the ECB and their influential friends in the media. There wasn’t a Big Bash occasion that seemed to go by without Shiny Toy doing down our competition and bigging up theirs. The aim to copy the IPL wasn’t possible – we didn’t have the money, or the calendar slot for it – hence the waltz down the Sandford cul-de-sac. But the Big Bash? Why not? I have always said that new leaders have to have a new idea to be remembered by and it has to be a big one. There is no place in this world for staying still, because the world moves without you if you do. For some, the sheer fact that Test Cricket has been in existence for 140 years is anathema in itself. The English football authorities changed in 1992 to the Premier League, which, we are told, has made our competition the best in the world, but in doing so, virtually killed the other main crown jewel, the FA Cup, dead. As a football fan of a non-Premier League team, I despise this. There’s nothing in the top heavy structure for me, and the FA Cup is a joke. We beat three Premier League teams this year, all playing reserve XIs, before Spurs put us out by taking the game vaguely seriously. The FA Cup is seen as a consolation prize now. In twenty years the culture of it being the biggest single day out is now relegated to big clubs saying it is not enough to win it. What will a new City-based (or whatever it is) do the Blast which seemed to be standing on its own two feet, was a competition anyone could win (see Northants and Leicester – it’s great Yorkshire, the mighty Yorkshire, haven’t won it) and people seemed to genuinely enjoy it? I think there’s an overly rosy picture painted of it, the Blast is not perfect, but it’s working out for all concerned and there is a rise in interest. I wish it were a little shorter, but then I already said I’m not that bothered about it. But when Michael Vaughan is wetting himself every time the Big Bash comes on, it’s hard to resist. If you look at how recent ex-pros, who didn’t play much county cricket towards the end of their careers, react to the onset of a new competition, it’s noticeable how many do their old breeding grounds down. The new competition is designed to get new followers in to watch the game. Tom Harrison, the Empty Suit, is carving out quite a niche for himself as an absolute weapon. In selling this “vision”, his new management brings radical change “thing”, he’s not just in danger of throwing out the baby with the bathwater, he wants to fit someone else up for the incident. In a series of responses to Sean’s piece, I picked out a few of them, but two stood out. I know, over the years I’ve been doing this, that I can take a throwaway line and make too much of it. After all, we aren’t called “Being Outside Cricket” for nothing, eh Paul Downton? But the choice of the word “obsessive” here is an interesting one. Obsessive has very negative connotations. As if you shouldn’t be doing something. If you obsess over something the inference is that you shouldn’t, or you should dial it back a bit. So if you are “obsessive” about the county game, maybe you shouldn’t be? Harrison, despite playing some county cricket, clearly has some negative perceptions of the people who follow it. Demographic perhaps, social class perhaps? It’s an issue that won’t go away. County cricket, last I looked, provided all but one England test player in my lifetime (ole Muppet Pringle came from the Universities when he made his debut). The County Championship has, I think many will say, flourished so the top division is now seen as a rival to any first class competition in the world. I watched some last year, and although we’re not getting the top world pros any more, the underlying quality of the home talent is pretty decent. It’s not for all, and it is based on what some would see as arcane old structures, but it kind of works from a cricket perspective. It also instills loyalty in it. That, Tom, is no bad thing. It is a positive, not a negative. Harrison could, if he had a modicum of charm, had called the denizens of the county game “passionate”, “devoted” or “enthusiastic”. Instead, because they don’t worship at his sharp empty-suited altar, they are obsessive. They are also obstructive. They don’t go on “leaps of faith” or “Futurebrand presentations” but live in the here and now. Many have never accepted T20 but see it as a necessary evil, and their counties have kept the show on the road because of it. Now they see a new competition as a threat to their very existence. And so they should. Harrison and his cheerleaders and parrots in the media are selling the by-passing of these views as a virtue! Not all of us are “county championship or nothing” fans, but I respect the hell out of those that are. They are the people who will tell their kids, and their grandkids, about the feats of the past, just as my Dad told me about his era. It is they who will tell kids born now of the majesty of Tendulkar, the brilliance of Lara, the dominance of the great Aussie teams, and yes, things like being at Adelaide, or seeing England hit the bottom of the Test table (though for me it will need to be my nieces and nephew). These obsessives are your core support, Empty Suit. Why piss them off even more than you have to? I feel insulted by that statement, and so should anyone who will be there in a week or so supporting their county as the Championship starts. The ECB can call it #realcricket if they want on their mildly annoying Twitter feed, but when the voice at the top thinks it is OK to use “obsessive” I think he gives away what he really feels. I remember watching Star Wars, the original, back in the day at the Odeon in Lewisham. It’s been long since destroyed. It was smoke-filled, the seats were crap, the service worse, the film quality passable, yet I still remember it. It was shorter than a T20, it was new-ish (I mean, we’d all seen Star Trek) and the thing that stuck out was that it was an entertaining film that I still recall. I went to see Phantom Menace in a lovely multiplex cinema, massive screen, comfy chairs, all mod cons, expensive food and drink, and the film was garbage. Just because my “fan experience” was good, and there was much more comfort, the “product” itself, what you go for, was ropy. I didn’t go to the cinema to see the next two, or even the new one. Harrison here is giving the game away. On the one hand he wants a competition to capture the buzz, the excitement, the thrills of the Big Bash. But on the other he says this is “of secondary importance”. What the serious you know what is he on about? What the Blast has, no matter how little you feel about it, is when you get to the latter stages of it, it clearly matters to a lot of people. Northants and Leicestershire should tell you that. They couldn’t give a flying one about a “customer experience” and more about are they going to win the competition, as do their fans. You can’t just, in this country for sure, astroturf supporters. It’s called grass roots support for a reason. Harrison isn’t trying to get new people involved by a meaningful competition, but by some sort of high entertainment exhibition. Again, you watch the Big Bash and there does appear to be, especially with the Perth team, an affinity between the team and the supporters, and they are playing their matches at their worst test ground for amenities. The argument, it seems the only argument, for this competition is to bring new spectators to the game. Now this is going to be interesting to see how this is done. Let’s say, for instance, that The Oval is hosting a fixture against the North London team. I could see how a rivalry might develop, and both those counties have a relatively short commuting range to get to the grounds. The Oval has a bit of a rep for becoming a drinking den during the T20 games. Up the ante on the supposed quality, and those supporters would be interested in more of the same in the late Summer months. How are you going to keep them out? Because that’s what Tom and co seem to be implying. These guys are good at getting tickets – better, I would suggest, than families, mums and dads. The city boys who make The Oval “what it is” on Blast days won’t mind shelling out a few extra quid. Are we going to make large parts of the ground “alcohol free”? How are you going to police that? How are you going to ensure families get tickets, even if there is no idea if that market actually exists? Are the ECB, in effect, going to take over the running of the ground for that game, something they don’t even do for international fixtures? Why would Surrey let the ECB take over the Oval for 4 or 5 nights a year? And good luck trying that with Lord’s!!!!! It’s OK for fancy dan presentations by Futurebrand, or whoever they are, telling the ECB how to run things, giving them what they want, but what does Harrison actually want? There’s woolly aims about growing the game, future-proofing it, putting it on terrestrial TV. There’s much out there saying the status quo isn’t an option, and that county cricket isn’t a brand that sells. It’s much like test cricket. If you talk it down enough, you end up with even the supporters having little long-term faith. Harrison has fancy ideas, but no idea what will happen. He’s taking a leap of faith. If you are asking me to have faith in an ECB leap of faith, then you are asking the wrong person. The ECB used up my web of goodwill ages ago. All I see are charlatans at the top, keeping the man who did the most to sabotage long-term growth (Clarke) in gainful employment, and his successor locked firmly in Downton’s cupboard in case he says anything more out of order than the Empty Suit. When you have Comma, with a straight face, saying this competition could produce the test players of the future (yes, lots of “spinners” bowling darts is just what we need), my eyes rolled. They want a Big Bash. Michael Vaughan wants a Big Bash. Nasser Hussain wants a Big Bash. #39 wants a Big Bash.